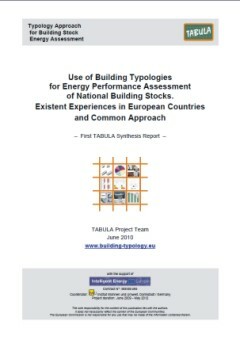 The first TABULA Synthesis Report gives an overview of existing typology concepts in 24 European countries. Different approaches for building classification according to size and age have been examined. In many cases typical buildings are used as showcase examples to demonstrate the energy savings which can be achieved by implementation of refurbishment measures. In other cases typological criteria are used to assess a building's energy performance in a simplified way, for example in the framework of energy advice or energy certificate issuing. Sets of typical buildings in combination with statistical data are also used in order to model the energy performance of a total building stock on regional or national level. Based on the existent experiences conclusions are drawn with respect to the different application fields and target groups. A concept has been developed which enables the creation of regional / national building typologies in a harmonised way: These models enable an application on national level by use of national definitions (energy certificate, statistics). A conversion procedure is defined in each case which is used to transfer the building typology into the common typology data structure.